According to scientists, mushrooms can control the weather to the extent of summoning up winds. 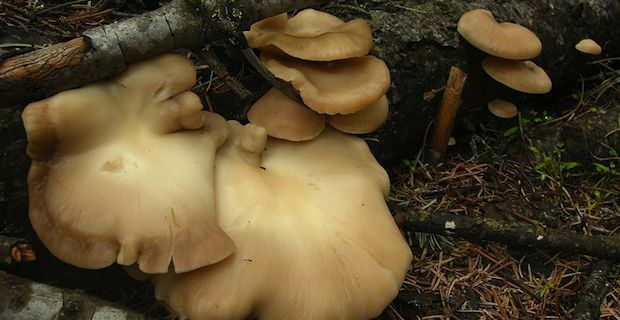 The curious research shows that mushrooms can alter the moisture of the air around them, which in turn can whip up winds. The point is that wind is exactly what mushrooms need to blow away spores and help them disperse. By creating the perfect microclimate, mushrooms can spread their spores in a wider area. It is a well known fact that plants use a variety of methods to spread their seeds, which includes animals, water and wind, but also ejections and sheer gravity. However, it was thought so far that mushrooms were a form of passive seed spreaders, simply relying on available air currents to carry their spores. The amazing findings are the result of a recent study conducted at Trinity College in Hartford, Connecticut. The results of the reasearch, presented at the annual meeting of the American Physical Society's Division of Fluid Dynamics in Pittsburgh, point out that America oyster and Shitake mushrooms can release water vapour that cools the air around them. The cool air has the effect of creating convection currents, which in turn generates miniature winds, able to lift the spores and spread them around. Although the study focussed on two specific kind of mushrooms, the researchers believe that the mechanism they have discovered applies to all kind of mushrooms and fungi.